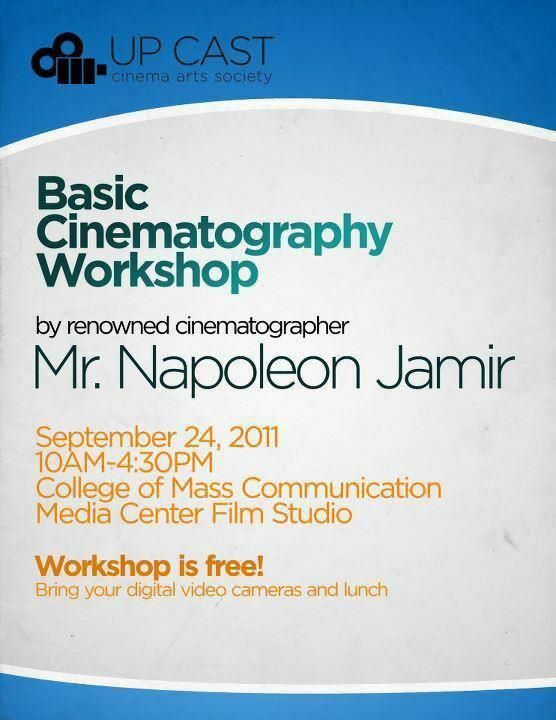 The Media Center Film Studio of University of the Philippines' College of Mass Communication is holding the Basic Cinematography Workshop by a renowned cinematographer, Napoleon Jamir. 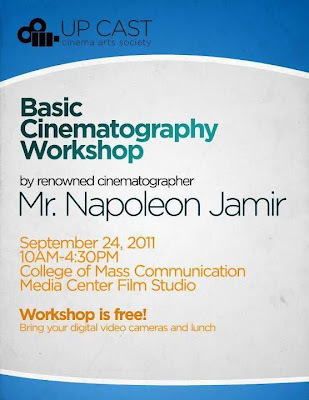 This will be held on September 24, 2011 at 10 am to 4 pm. Admission to the workshop is FREE. Don't forget to bring your own digital video camera and lunch.